These Primitive 1,000-Year-Old Windmills Are Still Working Today With Its Speed. There are some amazing windmills that have been spinning for several centuries that still are working and power grinding stones in a room below for pressing grain into flour. 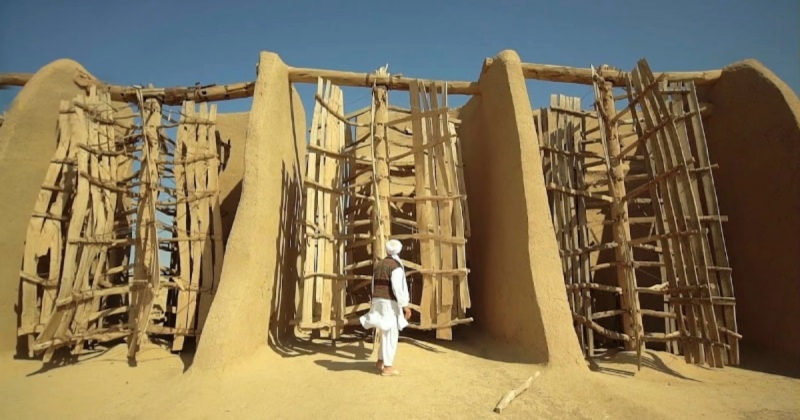 Nashtifan, Iran, is home to some of the oldest windmills in the world. Ali Muhammad Etebari, the last custodian of the mills, laments that he cannot find an apprentice. Made from clay, stray and wood, the windmills stand up to 65 feet in height and are among the oldest in the world. Although there are other windmills in the area, Nashtifan’s are the only ones still operating. Iran designated them as a national heritage site in 2002. Though this natural phenomenon is more prevalent all over the country during autumn, and in winter, winds may keep blowing, but the eastern parts of Iran are an exception in that even when there is no wind in other parts of Iran during spring and summer, these parts are affected by winds known as “120 days winds / black winds” the speed of which sometimes gets to 100 km/hour. They windmills were designed to protect the ancient village from devastating winds as well as a source of energy. With the design thought to have been created in eastern Persia between 500-900 A.D., they have been in use for several centuries. The reason that these windmills are among the few still operational is thanks to one man who is the last remaining keeper of the windmills.